When it comes to comprehensive dental care, you're in the right place. 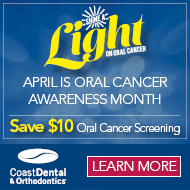 Since 1992, patients have trusted the Coast Dental family of dentists to provide quality care in a friendly, caring environment. 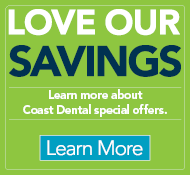 Their trust has made Coast Dental one of the largest dental providers in the U.S.
Coast Dental, along with its professional affiliations, have more than 120 locations in Florida, Georgia, Nevada and Texas. Our convenient locations make it easy to maintain a regular schedule of dental visits and keep your smile beautiful and healthy. Find a dentist close to you.